Healthcare professionals stress the importance of good hygiene to prevent the spread of flu, colds and other contagious illnesses. Germs also pose a threat to the health of your eyes, making cleanliness a major factor of eye care as well. 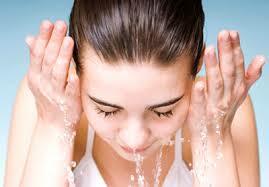 If you don’t wash your face thoroughly or you leave makeup on overnight, you run the risk of developing styes. These pimple-like red bumps are caused by an infection in the oil glands at the edge of the eyelid. While styes normally resolve themselves and do not generally cause serious injury, chronic stye development can lead to scarring over time. It’s easy to rub your eye without even thinking about it, but this habit can result in corneal abrasions. These scratches on the clear “skin” that covers the iris and pupil are extremely painful due to the large number of nerve endings on the cornea. The injury can come from dirt on your hands or from aggravating a particle that is already inside your eye. Proper eye care includes regular maintenance of contact lenses. Keratitis, or inflammation of the cornea, is one of the conditions that can result from poor contact-lens hygiene. Some common practices that create unsafe conditions are handling the lenses without washing your hands or wearing them overnight. Contact-lens cases should be kept clean and replaced frequently to prevent fungus from growing inside. One of the most widespread eye conditions is conjunctivitis, or pink eye, which is an inflammation of the thin membrane covering the white of your eye and lining the inside of the eyelid. Conjunctivitis is easily transmitted from person to person, so be sure to wash your hands or apply sanitizer after contact with others. Again, the safest precaution is to avoid rubbing or touching your eyes. Maintain a habit of good hygiene to keep your eyes clear and injury-free. Visit your Phoenix optometrist for more suggestions regarding proper eye care.